Well June is in full swing! And boy is it HOT in Texas! One of my favorite parts about being Miss Gay America, is learning about different people's journey to excellence. Recently, while in Tennessee, I had coffee with an old friend of mine that was once an avid competitor at Miss Gay America, but had not returned in quite some time. 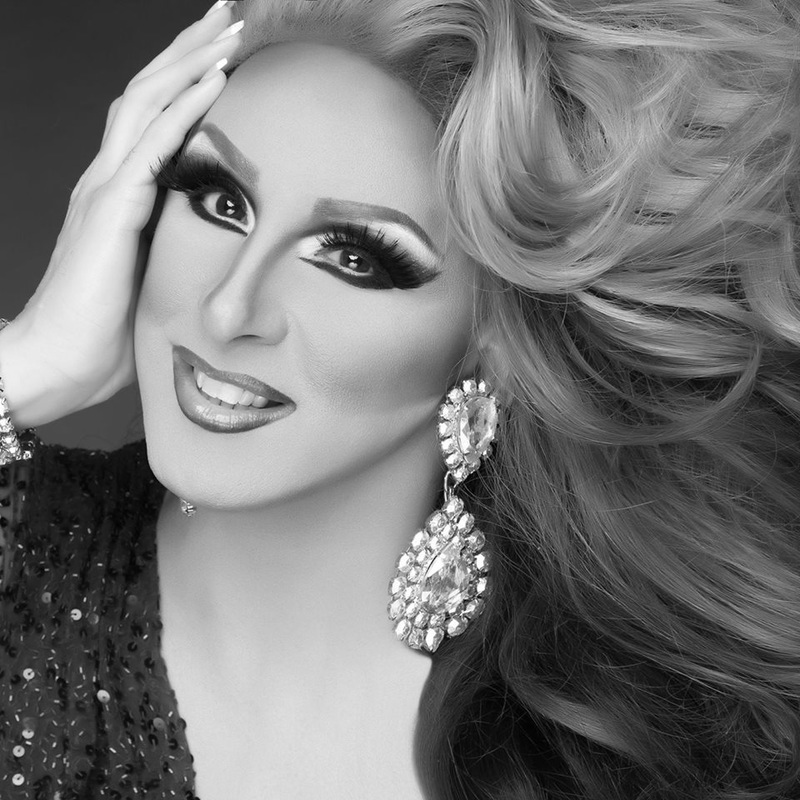 She posed the question to me, "How do you know what you are too old to be able to grow and learn as Miss Gay America?" I don’t know about you but I think I’m an education addict. It seems the more I learn, the more I want to know. It was bad enough when all I had to learn from were books and occasional live seminars. Now the opportunities for learning are limitless, and new ones seem to be invented every day. We have youtube, pintrest, eBooks, audios, CDs, DVDs, e-courses, e-zines, teleclasses, group coaching, and more. Yet, I’ve always looked on my addiction as something positive. To me, it demonstrates an open, curious, expandable mind. Its the same when competing for Miss Gay America. You know how it is when you read one book and it recommends another, so you read that one too. Or you’re directed to a website, and that links to another, and soon you’re off on a cyber journey. I truly believe that an educable mind is what keeps the mind young. Or instead of saying continuing learning keeps us young at heart, we can say it keeps us young at mind. And the older we get, the more we have to learn, because we’re continually learning lessons from our so called mistakes. We may arrive at a certain age and be totally aware of what hasn’t worked, but are still on a search for what will work. Say, for example, you’ve been divorced. You most likely, took a good look at what went wrong and decided to do it differently next time. So every time you enter into a new relationship, you have a body of knowledge and experience to draw from to create a better outcome. Maybe you’ve read some books on relationships, or taken some courses, or even worked with a coach. As you continue learning from your mistakes and gain new knowledge, you have a much better chance of a different result. You may also pursue ongoing education to keep up with your business or career. Many industries have constant innovations, so it’s necessary to keep learning—new ideas, new skills, new technology. Pageantry is no different. Just make sure you aren’t using education as a form of procrastination. Some people, for example, seem to be waiting to start their new business until they read one more book, or take one more course, or consider one more opportunity. Learning new ideas and skills is exciting—just make sure you keep it in balance to the rest of your life. Keep up your ongoing education and turn your mistakes into learning opportunities. Life is one long classroom and you’re never too old to keep learning. And with all the knowledge you’ve gained, you may just want to give back. Volunteering as a teacher’s aide or mentor is a great use of all your knowledge. It is never too late in life to be foolish and discover something new about yourself. Great advances have never come from the conventionally minded among us. It’s always comes from us idiots who believe in love and freedom and goodness and peace. The fools of today are the visionaries of tomorrow. Those crazy fools of the past gave us electricity, medicine, automobiles, a few trips to the moon and back, not to mention hair dye and microwave dinners. God bless them all. Can you imagine the Wright brothers thinking they could snub the laws of gravity and fly? Think about it. Many of us cower and shrink thinking we’re idiots for believing we can write a screenplay that sells. Fools dare to be alive, even on a Monday. Fools dare to take off their shoes, turn off the computer and walk outside into the sun. They know the power, healing, and strength of having fun. Fools dare to take off their thinking cap and try on their feelings fedora. Fools dare to try new things and do them badly. Fools dare to rest when they are tired. Fools dare to sing off key and they dare to sing on key in a voice that melts all separation. Fools dare to wander down interesting paths in their lives, take scenic routes and detours and stuff their bursting satchels with jewels. Fools dare to step into the river beyond the concrete structures of “how it’s always been done,” and allow themselves to be carried onto new and holy ground. Prudence and conservatism have not advanced our culture. Neither has sitting around think your time has come and gone. It took the voices on the outskirts to make a noise that changed the world. It’s taken a handful of rabble rousers to vote for women’s rights, freedom from slavery, and to oppose war, hunger, and hatred. It takes fools to raise awareness and fools to raise the bar. It takes fools to stir the hearts of mankind into becoming the great lovers and leaders we are meant to be. Every time we watch the Academy Awards or the Olympics, I think of all the “foolish dreamers” involved who believed they had something in them that deserved commitment, development, and a jostling chance. Every hero begins as fool. So dare the ridicule of the narrow-minded and dim-sighted. Dare to still believe. Dare to feel. Dare to trust your guiding light. Dare to ignore gravity and take flight. Dare to be a hero. Dare to be a fool. You are never too old to learn, to grown, and to find yourself. ​Well welcome to May everyone! I hope everyone is enjoying their spring. This past month I had the pleasure of traveling to Kansas City, Missouri for Miss Gay Missouri America. What a wonderful time that was. Hats off to the MGMA Alumni board for doing a wonderful job. Then it was off to San Diego for the revival of Miss Gay California America! I am so excited to see such growth and the West coast. Then back across to the other side of the country to Miss Gay Maryland America which was a wonderful contest and a fantastic celebration of their longevity in the Miss Gay America system. And rounding out the month, I ended up in Monroe, Louisiana to welcome the first two members of TEAM GREEN at Miss Gay Southern Elegance America. It's so exciting meeting new people and seeing old friends again. My goal is to get to know as many people offstage as I know onstage. Speaking of goals, all of us have goals, whether big ("Winning Miss Gay America") or small ("Knock out that pile of junk mail.") But what keeps us from meeting them? Why are some goals successfully achieved, and others remain on our to-do list, nagging at us for months or even years at a time? Although a few tweaks to your goal-setting method can have an immense impact on your likelihood of meeting those goals, for many of us the problem lies not just in the goals that we make, but the ways we thwart ourselves in meeting them. We could have the most functional, well-set and realistic goals in the world, but if we engage in self-sabotage then guess what? Our goal-meeting is over before it even began. We all have regrets, whether they be about something we did ("If only I hadn't dropped out of college"), or something we didn't do ("If only I could afford a better gown."). Sometimes we play the "If only" game about things that we had nothing to do with happening, but that we wish were different-- if we had grown up with different parents, if we were more talented, if our partners were fundamentally changed in some way. These thoughts can follow us around for decades, but the problem with them is that they don't lead to any action. Repeatedly revisiting "If only" fantasies if they involve things that we can't do anything about, keeps us idling in neutral. Given our lack of a time machine or our lack of ability, ultimately, to overhaul people other than ourselves, then continuing to indulge in these thoughts about things that are unchangeable will bring nothing but further frustration. It doesn't spur action, inspiration or problem-solving. And worst of all, it keeps the same patterns going (ruminating on how you wasted your 20s socially probably may make you less likely to go out and seek good friendships in your 40s; dwelling on imperfect aspects of your partner builds resentment that will make your relationship even worse.) I try to turn an "If only" into a different mindset altogether, by accepting what's done but using it to influence your actions. How about "X is this way, but Y can be that way" or "I can't undo my past, but I can influence my future" or "I have learned something from X, and that is Y-- and here's how I plan to use it to improve things." All these are new spins on the "If only" that are much more functional. One of the easiest ways to ensure that a thought will have power over you is to try your hardest to suppress it. Sometimes we do this because our thoughts are terrifying to us ("This is the third year in the row I haven't made the top 10. What if I'm wasting my time?") or because we feel guilty about having them ("My coworker is just not pulling her weight on this project. But she's a sweet person and a good friend so I shouldn't rock the boat."). When you stuff a thought, though, you have no chance to process it-- to understand it, to feel it, and to perhaps eventually decide that it doesn't make sense. Walking around afraid of what your brain to say gives your thoughts, ironically, far too much importance. This is a hallmark of people who struggle with obsessional thinking-- they are locked in a battle of trying desperately to get a sticky thought to go away, mainly because they're so overly distressed by having it in the first place. But getting stuck within this battle doesn't move you forward. Try not to think of a rhinoceros in a bikini, and bam-- there she is, and she's wearing quite a hot number! The more you battle your thoughts, the more you deny yourself the opportunity to work through them, and the more you keep yourself locked in a negative pattern. Try acknowledging your thoughts and facing them, emphasizing that they are just thoughts-- and labeling them as such. "I'm having the thought that it was a mistake to get engaged. That's probably because I've been stressed out. I don't have to be afraid of this thought; it is human. I will get a bit more sleep, get over this bad week at work and see if I feel differently, and if not, think things through further." A close cousin to trying to avoid bothersome thoughts is trying to bury or mask feelings that you've deemed unacceptable. Many people think that to fully acknowledge feelings would mean yelling obscenities in the grocery store, or hysterically wailing at their next all-staff meeting. But letting yourself feel things is not the same as unleashing emotions onto the world at large. In fact, you'll be less likely to unleash feelings in inappropriate ways if you've actually acknowledged them and worked through them in the first place. Often times we stuff feelings out of guilt ("I'm angry at my sister for making that comment about my weight. But she's a sweet person and does so much for me. I have no right to nitpick") or fear ("If I let myself feel sad about the judges not liking my talent, I'll get so depressed I won't even be able to function."). But feelings, when stuffed, grow bigger and bigger. And they are prone to corroding us from the inside out. Emotions don't tend to go away on their own just because we try to keep them in. It's like if you kept slamming down a lid onto a pot that's boiling over. Instead, you know that if you let water get a little bit of air-- set the lid so that it covers the pot but not completely-- then soon you'll get a calm, smooth boil, rather than a frothy, rattling mess. Acknowledging your feelings doesn't get the boiling water all over the place-- stuffing the lid on does. Deal with it now, not tomorrow. Speaking of tomorrow, thats something I myself am guilty of. Habitually starting "tomorrow". So you've eaten a third sleeve of Girl Scout cookies before Noon, or you're completely frustrated that it's 3pm and you've gotten so little work done all day. Many times, the most natural reaction is to chuck all of today, and visualize the beautiful blank slate of tomorrow. But it's never tomorrow. We spend so much time saving until tomorrow. The habits you want to pick up and the changes you want to make. And by definition they are always beyond your reach, because tomorrow is a constantly moving target. If you are someone who must use a "clean slate" to get motivated, it need not be tomorrow. Why not have that clean slate start in an hour? Or fifteen minutes? This helps stop the surge of all-or-none thinking that might have led you to write off the rest of the day, getting you farther and farther from your goals. Even better, instead of simply declaring the clean slate arbitrarily because of the calendar flipping over, create a true and meaningful clean slate behaviorally. Take a brisk walk. Say a brief prayer. Have a quick chat with a friend. Do some breathing exercises. Allow yourself five minutes of a video that makes you laugh. All these things can help you reset yourself and your productivity much better than the vague "tomorrow," which, when you think about it, is never actually here and never really puts you in the driver's seat or giving you inertia. Inertia is fantastic when it's on your side. If you pick up a healthy habit and maintain it for several weeks in a row-- making your own coffee rather than buying, taking the stairs rather than the elevator, sorting your emails as they come in, talking to your partner about your feelings rather than exploding at them after a week's buildup, using anti-cavity rinse-- then it is much easier to continue than when you just began it. But too often, inertia applies to habits we don't want to have, and activities that make us feel not productive and healthy but down on ourselves and miserable. This is the reason why the psychological clean slate discussed above can be so powerful. We desperately crave the ability to be free from the things we already view as tainted: a busted diet, a soured relationship, or a pattern of motivation-killing habits in our pageant preparation. We don't want to salvage any of it. We want to start fresh because it's much more attractive as an option. But here's the thing. Just like in the physical world, we are prone to staying in motion-- or in place-- by this force of inertia, and there is no one to overwrite it except ourselves. The calendar flipping to a new year, feelings of being "fed up," a new talent mix or public promises can all briefly jump-start new behaviors. But they don't do the underlying re-write of inertia that is truly needed to change behavior for the long-term. You must build the right day-to-day structure for your new habits to take hold, when they no longer have novelty, and when they've gotten boring and annoying and inconvenient. Otherwise the inertia of the old habits have never really gone away. Yes, that new Tom Ford suit is fabulous, but if daily interview preparation is too inconvenient with your work hours, then you haven't done anything to address the inertia of not scoring well. Focus not on the jump-start, but on the overhauling of the battery itself. And get inertia working for you, rather than against you. Work towards your goals briskly, sharply, and with self-awareness of where excellence lives within you. Welcome to April everyone!!! The trees are blossoming, flowers are blooming, and everything excellent is becoming green again. We have the first Miss Gay America preliminary under our belt. David and Cory did an amazing job reviving Miss Gay Heart Of America this past month in St. Louis. It was a wonderful evening of pageantry with Sally Sparkles, Dominique Sanchez, Lauren Colby, Blair Williams, Jade Sinclair, and a host of other incredible entertainers. 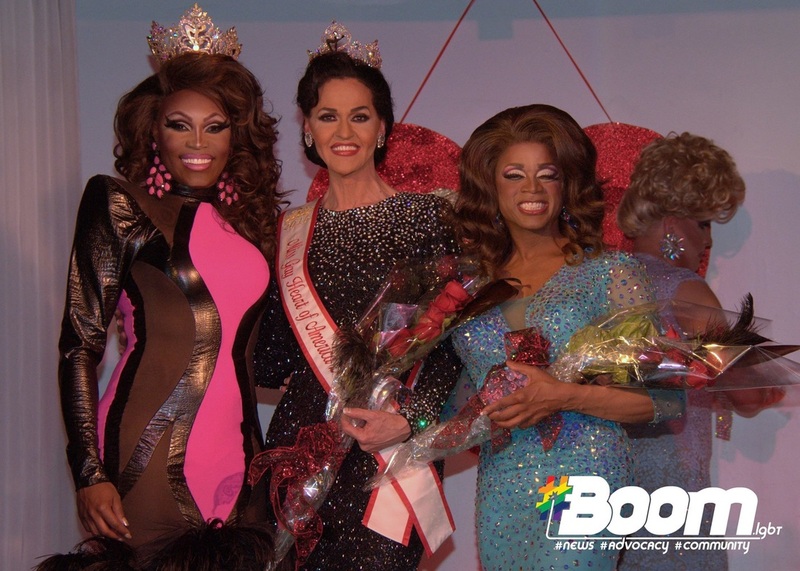 It was great to see our first 5 contestants battle it out, but at the end of the night it was Kelly Ray of North Carolina and Christa Collins of Missouri that captured the first 2 spots to Miss Gay America 2017! This month I will travel back to the midwest to attend the second oldest preliminary to date, Miss Gay Missouri America, April 7-9! Then its on to San Diego for Miss Gay California America on April 17th, Baltimore for Miss Gay Maryland AmericaApril 23-24, and Munro, Louisiana for Miss Gay Southern Elegance America on April 30th. Id like to bring attention to the men and women across the country who invest their time in judging all of our city, state, and regional preliminaries. This is by no means, an easy job. We as an organization are thankful of your commitment to integrity and excellence. And on the matter of judging, I would like to remind that we must leave that job to the selected judges and be mindful of our words when offering our opinions about others. I'm sure we all know what it's like to feel judged by someone else. Maybe it's because of the way you look, or the way you act, or something you've said. No matter what the reason, it probably didn't feel very good. Let’s face it. We all do it. We judge. We like to label others. Put them in boxes. We don’t like “undefined” people. We extrapolate based on our interactions and observations. Judging makes us feel safe, comfortable because we’ve “defined” a person and because we have that definition, we know how to act accordingly. We move on to the next person and do the same until our entire social circle is defined. It helps give us a sense of control, of safety and you could probably trace it back to primal days when we needed to make quick snap judgments of another person in terms of whether or not they posed a threat. It’s foolish to assume we know everything there is to know about a person without knowing the back story. One observation, one interaction, one action, or even several of those shouldn’t become the basis for our judgments of others but we often peg our judgments on just that. Those are some of the more obvious reasons we shouldn’t judge. Yet we still do, and the subtle reason in terms of why we judge is that what we’re “confirming” ourselves in a sense when we do it. It’s a built in mental defense mechanism. If others are living the lives we are, they’re good people. The people that aren’t – they’re ignorant, bad, not doing the right thing, etc. We tend to project our own values and beliefs on others and if others fall in line with what we value and believe, we judge them as “good” and the rest “bad”. Then we treat the two groups accordingly. It’s a fail safe mechanism to convince ourselves that the way we are living is “right” and that others who don’t match are “wrong”. Acceptance is the key. We are not judge and jury. It’s arrogant for one individual to judge everybody. Just accept the fact that everyone has a story and everyone has free will to decide what they want to do, how they want to live their life, and that it’s all relative to their story, values and beliefs. Accept that. And if you want to go a step further to deepen the relationship, seek to understand by learning about their story. It will give you great perspective on what that person is all about. When you accept and understand others, it’s so much easier to accept and understand yourself. When we stop judging others, we become less critical of others and in doing so, less critical of ourselves. We become less influenced by the judgment of others because we realize that nobody has the right to judge another and even though people still judge us – they don’t know the whole story so their judgments lie on faulty foundations. When you accept others, SO MANY doors begin to open, whereas before, you would’ve closed them BECAUSE OF YOUR JUDGMENTS. People are one of the greatest gateways to opportunities and when you ACCEPT another, which is something rare these days, you open a door instead of closing it by judging, and in the process, bank a lot of goodwill indirectly, which can translate into opportunity. Another great thing that happens when you stop judging is the “social weight” of fearing how others will judge you should you decide to take a different direction in life than the masses, gets lifted right off your shoulder. It evaporates. You feel FREE. FREE from the social judgment of others, even though you know they still do it. Before, when you judged, you could “extrapolate” what the mental chatter would be of those who judged you because you yourself were judging. But when you stop judging, that mental chatter that fuels the fear of how others will judge you and act toward you accordingly – it changes. You realize you don’t know the whole story of the people you think are judging you. Why waste your time trying to figure out what’s going on in someone else’s head? For all you know, it could be the complete opposite of what you think. Or they may not even be thinking of you at all! And because you don’t know their entire stories for sure which means you don’t know how they will judge, you feel FREE. So you let it go. It doesn’t bother you at all. And you keep on living your life and seeking your excellence, free from the heavy weight of the social judgment ball. Well here we are! So much has happened since we last spoke, but that is minimal in comparison to what is to come. This first preliminary is upon us! The mu ch anticipated return of Miss Heart of America, happening March 6th in St. Louis. Corey and David have pulled out all the stops to ensure an amazing night of pageantry. They have already put a lot of HEART into Miss Gay America and I am thrilled to work with them and meet the first 2 jewels in the 2017 Miss Gay America crown. Getting ready for this first preliminary, I have really grown close with my Miss Gay America sisters. I am in love with the fact that the Miss Gay America crown never truly leaves your head. I want to thank Jessica Jade for being a guiding force for me, even before officially throwing my hat into the Miss Gay America arena. I want to also thank my Texas sisters Valerie Lohr, Charity Case, and Patti LaPlay Safe for seeing something in me long before I could see it myself. Thank you Sabrina White for encouraging me during your reign when I didn’t even have the strength to encourage myself. Thank you Jacqueline Devarough for being the first person ever to tell me I was Miss Gay America material and predicting my success almost perfectly. Thank you Norma Kristie for always treating me with love and respect and for giving me my first “grown lady” booking. Thank you Dominique Sanchez for inspiring me during your reign and teaching me to always pick myself up. Thank you Coti Collins and Nicole Dubois for pushing me during Miss Gay America 2016 and reminding me why I love this system so much. Thank you Blaze Star, Kerri Nichols, Tiffany Bonet, and Lauren Colby for humbling me with your kind words and reminding me that I am never to old to get star struck by someone I have admired from a far for so long. Thank you Coco Montrese and Catia Lee Love for always giving it to me straight and reminding me to stay true to myself. Thank you Blair Williams for leading by example and proving that being Miss Gay America never truly ends for someone that really believes in this system. And thank you Sally Sparkles for allowing me to build a new friendship with someone I feel like I have known my entire life. I love you all and I’m thankful for everything you have done for me and for Miss Gay America. In the state spotlight, I would like to bring attention to some hard working state titleholders that I have witnessed first hand going above and beyond as a symbol of excellence. Miss Gay Arizona America, Nevaeh McKenzie, and Miss Gay Louisiana America Delanie Valentine. You guys are doing a spectacular job growing the America system in your states and we are all thankful for your hard work and your help preparing contestants for the state level competition. I also have been fortunate enough this past month to spend some quality time with some of our state promoters. The world’s best Mac & Cheese with Daniel Eckstrom and Nick Ray of Arizona America. Late night phone calls with Chrystian and Kristian of Texas America. A cliff hanging near-death experience with James Carden of California America, and a backwoods swamp tour with David Green of Louisiana America. For the state promoters I have not yet had the chance to work with, and the state titleholders I have not yet seen in action, your time is coming. I am looking forward having me one-on-one time with all of you and excited to make some memories with you as well. For all the regional titleholders and promoters, don’t feel left out, I have some treats for you all next month. Now on to other business. I receive countless emails, phone calls, and texts on a daily basis wanting my input on the new ownership of the Miss Gay America system. Perhaps we should all collectively take a moment to process that. 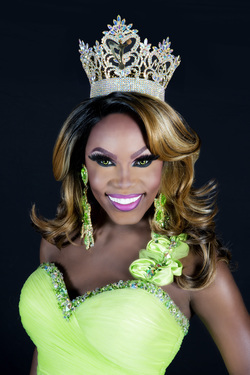 The truth is, Miss Gay America is not under new ownership, it is under new leadership. Miss Gay America is much more than just an event that can be purchased. It is a being, that can never truly be owned by a single person or pair. Miss Gay America is owned by all of us. All of the hard working promoters, devoted contestants, skilled staff members, and loyal audience members that invest financially, emotionally, and spiritually in this marvelous pageantry system year after year. We are a whole and we must honor and pay tribute to the true reason that Miss Gay America is the longest running and most prestigious pageant for female impersonators on the planet, unity. It is our duties as individuals to take ownership of our parts in the vast art form. We each must do our “job” as efficiently and passionately as ever, to ensure the continued success of Miss Gay America. It is our duty once again to hold fast to the very ideals that brought us to Miss Gay America, some of us recently, some of us decades ago. Children would not learn if they keep the same teacher from kindergarten to twelfth grade. Nations would not grow if they never had a change in presidency, and I believe Miss Gay America would not be as great as it is today without the love and dedication of Jerry Peak, Norman Jones, Larry Tyger, Terry Eason, and now Rob Mansman and Michael Dutzer. All of these past leaders have added their own special touches to this empire just as each reigning Miss Gay America adds hers. I personally am thrilled to find what special touches Rob and Michael might have in store. With each shift in leadership, new life is breathed into this art form. But new life does not mean it is replacing something that is already there. New life is being added and intermingled into something that will always have room for advancement. Miss Gay America is a living, breathing entity the relies on all of us as her heart, her mind, and her soul to keep her alive. Let us all not only allow, but encourage her growth and evolvement. Let us all continue to do our parts to keep her alive and healthy for many more years to come. Let us all allow her to breath, to stretch her legs, and continue to run wholeheartedly and purposely forward, into the future. Hello everyone, and welcome to February!!!! I had an amazing January seeing old friends again and meeting new ones. I was fortunate enough to spend a lovely weekend in Arizona, where the hospitality was superb. I toured the desert botanical gardens, had some amazing Mexican food, and was the guest of honor at Barbara Seville's excellence show starring, Savannah Stevens, Nevaeh McKenzie, Barbara Seville, and myself. I also attended Miss Gay Copper City America, a city preliminary to Miss Gay Arizona America, where I was awarded the Symbol of Excellence award by Judith Derriere and TC Taylor. I spoke to Larry shortly after the event and told him how refreshing it is to see that the commitment to excellence is truly being executed in all levels of competition, all across the country. Thank you to the wonder state of Arizona for keeping Miss Gay America alive and thriving on the West Coast. Speaking of the West coast, while in Phoenix, I also got to spend some time with one of our new promoters, James Carden. He will be ushering Miss Gay California America, back into the ranks this coming April. It is really great to see the Miss Gay America system growing again in places such as California, where pageantry has not always thrived. Which brings me to my next topic. For the past 8 years, this time of year something always happens that begins to divide our community. The announcement of the new cast of RuPaul's drag race. I have read countless threads and blogs about which is more important, pageantry, or reality television. Which is the past and which is the future? Which one is more prominent and reputable? So I would like to offer my take. We often forget what female impersonation is.... It is just that, female impersonation. It is a male impersonating a female. Although wearing women's clothing, makeup, and wigs are normally part of it, each impersonator has a choice as to HOW they want to impersonate. Some choose to sing, some choose to dance, some choose to act, and some choose to go on television. I chose pageantry. But I have to accept and support all other avenues of success and we as a community have to stop comparing all forms of female impersonation to each other. It is safe to say the contestant pool at Miss Gay America has not been affected by reality television. You do not see people at the Oscars complaining about the Tony Awards or people at the Emmy's complaining about the Grammy's. They are all ACCOLADES to different forms of entertainment, and all are valid. 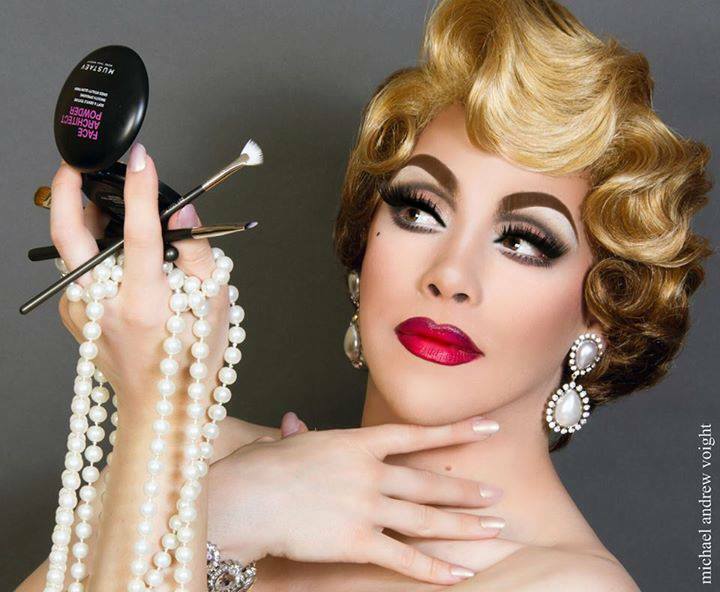 I look at female impersonation as a large luxury liner floating in an ocean of entertainment. Each day, lots of smaller boats come to luxury liners to supply them with fresh flowers, beautiful women, champagne, caviar, and such. In this sense, those smaller boats are reality television, pageantry, live acting, vocal talent, and much more. If those smaller boats did not come each day that luxury liner would no longer be a luxury liner. It would just become another ship. We as female impersonators are strong, talented, independent entertainers. Female impersonation may be the only form of entertainment where you have to go through a very intimate and personal metamorphosis to even be able to see your beauty, talent, and excellence. I for one am grateful that female impersonator have lots of different choices when wanting to further their career. Not everyone would make a good pageant contestant, just like not everyone would make a good television star. And now days, when someone enters Miss Gay America, I know it is because that is something that they truly see for themselves, and not just because it’s the only thing they can do to be successful. Speaking of success, we are one month away from the official start of the Miss Gay America preliminary season. It kicks off March 6th with the return of another great prelim, Miss Heart of America in St. Louis. I am looking forward to a night of excellence with my MGA sisters and am very excited to see who the first 2 jewels to the crown will be this year. After Heart of America, the ball is really rolling, followed by Missouri, California, Maryland, and Southern Elegance. I don't have to remind anyone to check the official Miss Gay America website for dates and locations. February is the month of love, and I am full of it. I am forever thankful to L&T for trusting me with such a precious gem. And I am thankful to the contestants, my predecessors, and all the promoters for such my love and support thus far. This has been a remarkable experience and I know it is only going to get better. Greetings and welcome to 2016! I hope everyone had a happy and joyful holiday season. Now that the new year has begun, I am eagerly preparing for what is going to be a life changing journey. Being the reigning Miss Gay Texas America is really helping me gear up for the Miss Gay America preliminary season. With 20+ city preliminaries, spanning over 200,000 square miles, Miss Gay Texas America has proven to be a remarkable tool for me to become the best Miss Gay America I can be. I am going into the new year with a long list of things I want to accomplish during my reign. I want to give back to my community, empower people, and inspire others. I want to make everyone proud and I want to stay true to myself. I know none of this will happen overnight. During the last month I started to think of resolutions for 2016. Things I wanted to change, things I wanted to focus on, and things I wanted to improve upon. During this process, it dawned on me that resolutions to better oneself shouldn't just be reserved for January 1st. There is no better time for growth than the present. I, like everyone else, got roped into the idea of "New year, new me", when in reality, we have the opportunity for a new beginning each and every morning we open our eyes. Everyday we are given opportunity to realign ourselves and bring focus back to being a better person. So in a sense, my resolution is to make resolutions daily. Never give up on the details of improving myself. I am thrilled to be getting phone calls and emails from past and future MGA contestants asking for advice on preliminaries and packages. Nothing makes me happier than the opportunity to help others execute and fulfill their dreams. Competing gave me a great deal of joy, and now I get to relive that joy every day. I want to thank everyone that trusts me enough to let me offer my opinions and counsel on gowns, talents, interview questions, and all the other nuances of pageantry. The month of January is packed for me with trips to Memphis, Phoenix, Houston, Jacksonville, Daytona Beach, Orlando, Galveston, and Minneapolis. In addition to that, I have my regular weekend shows at the Rose Room in Dallas, as well as my full-time costume business. History has not proven me to be the absolute best at managing my workload and my time. I often put a lot on my plate, but that again is something I am working on (resolution). In my travels this month, I am looking forward to meeting so many of my MGA family that, as of now, I only know through a computer screen. Yesterday, a very close friend asked me what it is like to be MGA. My reply, "It is terrifying." Being on this side of the crown is an extraordinary feeling, but it can also feel overwhelming. All eyes are on you from day one. So many people look to you for inspiration, hope, and clarification. There are not many jobs in the world that require you to be intelligent, quick on your feet, an exceptional problem solver, a spokesmodel, an ambassador, and a confidant, all while maintaining the high standard of beauty and elegance required of Miss Gay America. On the other hand, there are not many jobs that offer you cards, flowers, applause, and an utter sense of fulfillment at the end of the day. Only a place as beautiful as Miss Gay America can do that. Happy holidays everyone! I hope everyone had an amazing Thanksgiving. I would like to take the time out to talk about something that is very important to me… and that is “balance”. I know that shortly after Miss Gay America, a great deal of contestants are eagerly planning their national packages which includes choosing a preliminary, sketching gowns etc. I know a great deal of promoters are planning their contests and beginning to round up contestants. However, I think it is important to give yourself time and room to breathe. This is the time to re-connect with friends and family that you may not have been able to spend time with while you were preparing for Miss Gay America. Re-visit your hobbies that you may have neglected over the past several months. 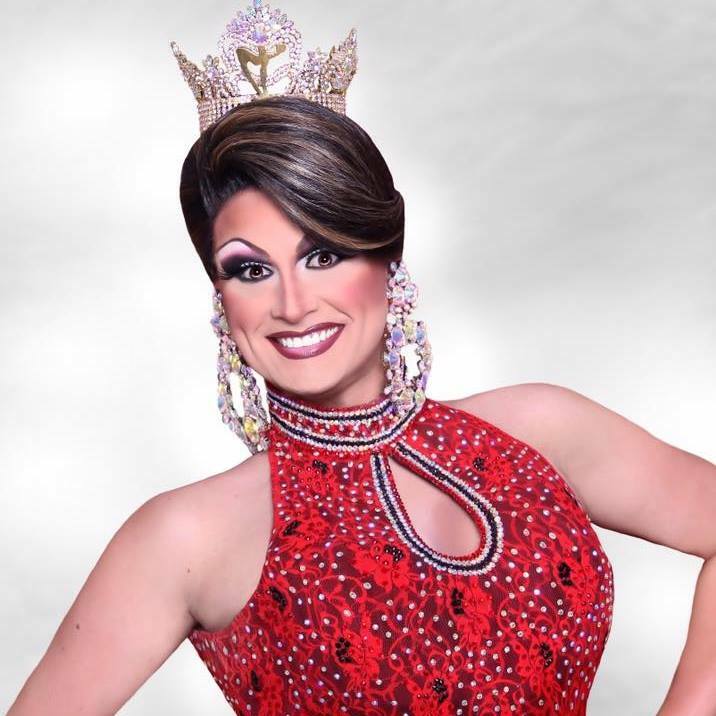 Allow yourself to fall in love with Miss Gay America all over again! If you give your mind and your soul the time to reinvigorate, you will allow new ideas, new energy, and a greater love for this art form to emerge within you. Your attention to detail and your commitment to EXCELLENCE absolutely blew me away. I was in such awe watching your talent rehearsal. You are such a talented and intelligent person and I look forward to seeing what greatness you have in store for us. My mother used to say, "sometimes you meet someone, and it is like you have been friends your entire life". You are an amazing example of that. You breathed love and life into not only me, but every contestant at Miss Gay America. You are a beautiful person inside and out. Your grace, elegance, poise, and professionalism are admirable and I am forever in your debt for all the positive energy you gave me on final night. I adore you. I have so much admiration for how well rounded you are. And I am so appreciative of the fact that you hold true to the ideals that pageantry is built on. Sisterhood, professionalism, and EXCELLENCE. You are so supportive of so many people and that is what makes you a star. Your commitment to Miss Gay America over the years is “praiseworthy”. Thank you so all that you do for us. 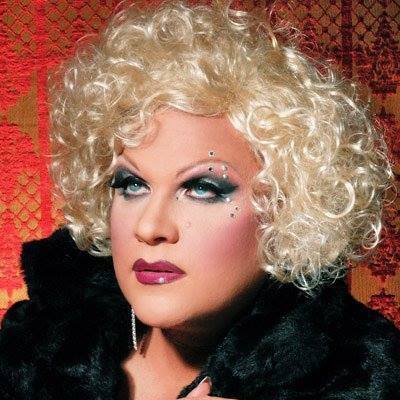 Thank you so much for bringing back what is so often lost in pageantry and female impersonation… and that is fun. Thank you for making us laugh, making us cry, breaking the tension in the dressing room and forcing everyone to just let their guards down and have a good time. You are a kind person and every time I saw your face, or heard your voice, it felt like home. We truly need more of you. With that being said, I hope everyone involved in Miss Gay America knows how appreciative I am to have the experience and just how happy I am to be able to share it with all of you. I am looking forward to building friendships with so many of you. I love you all and I hope you have a joyful holiday season. and I am honored to be able to share my year with all of you. I want to say thank you to all the dressers, dancers, and promoters of every single contestant at Miss Gay America. It really does take a huge team to produce all of the amazing things that the audience sees on stage, and on behalf of all the contestants at Miss Gay America, we really do thank you. we will forever love you. Paige, and Dominique Sanchez telling me that I had the tools within me to be Miss Gay America. I spent a decade searching for the characteristics of Miss Gay America. Then one day in early 2015, I realized I needed to look no further than within myself. Thus began my journey back home to Miss Gay America. of you to be Miss Gay America along with me. Share this journey with me. I will encourage, support, and uplift you to my full ability. I look forward to striving for excellence with you all and I am excited to make lifelong connections and memories through the Miss Gay America organization. Written by Miss Gay America 2016 Asia O'Hara!